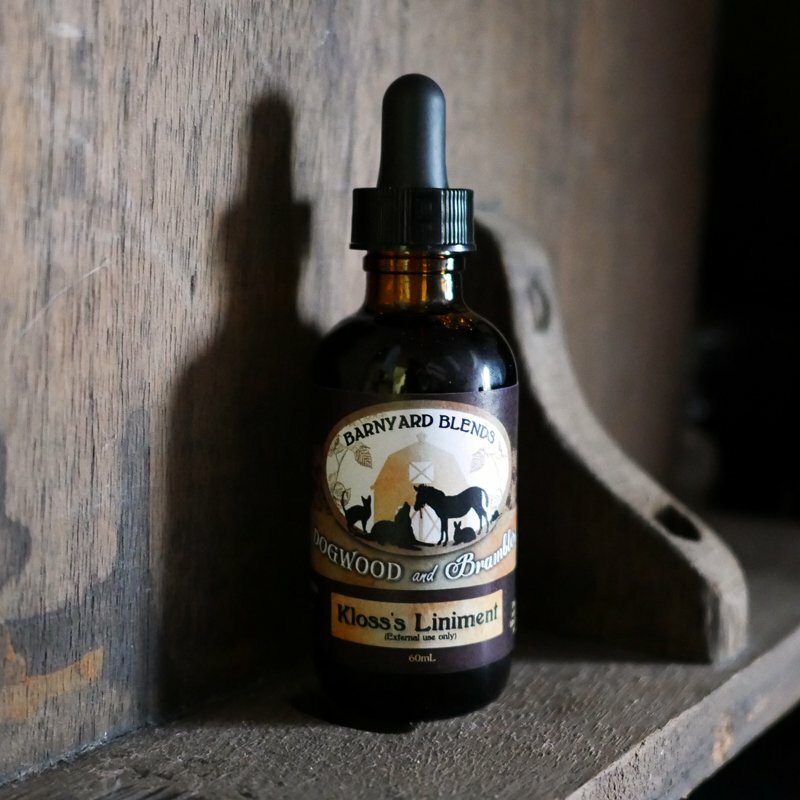 Dogwood and Brambles Kloss’s Liniment. This formula is an extremely old but very strong recipe, and it’s one of the best disinfectant remedies you’ll ever have on hand. 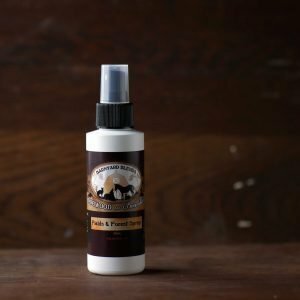 This liniment is useful for reducing inflammation of the muscles, soothing insect bites, cleansing wounds and more (see directions below). 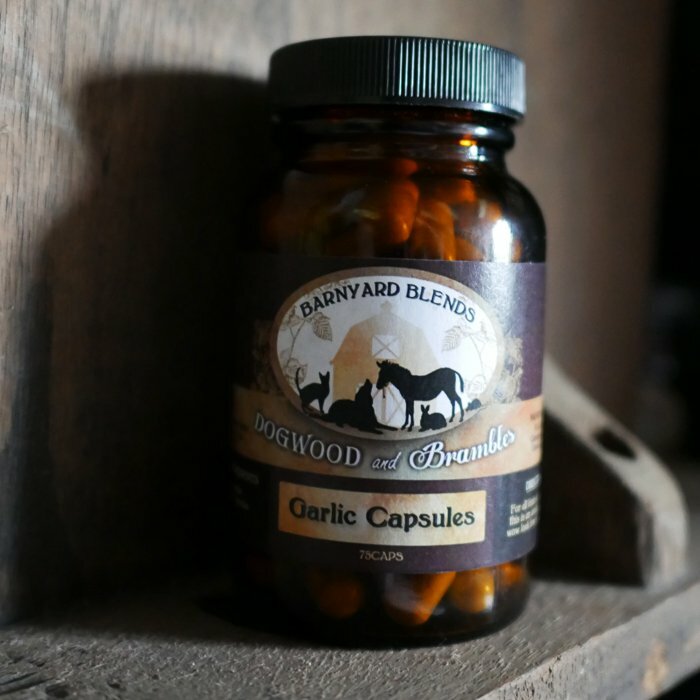 Formulated by Jethro Kloss who was born in 1863 and raised on a self-sustaining farm. He was the son of a farmer, and a very famous herbalist. 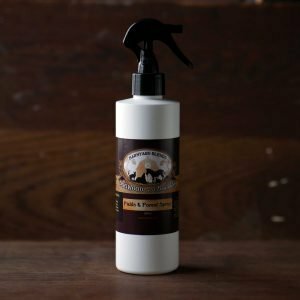 (EXTERNAL USE ONLY) Disinfects wounds as well as giving relief & treating general pains, insect bites, painful swellings, bruises, muscle pain and skin issues of any kind. If in doubt, or if symptoms worsen, check with a veterinarian for further advice. Goldenseal: Good for the Immune system, Colds/flu, Skin conditions and is an Antibiotic and Anti-inflammatory. Myrrh:Antibiotic, Antiseptic, Anti microbial and good for treating Colds and flu. Echinacea: Antibiotic, Anti-microbial and helps with fevers, Acute inflammatory conditions, Skin conditions (eczema, acne, boils, impetigo, herpes, ringworm), Cleansing wounds, Ear aches and more. Cayenne: Antiseptic, Circulatory stimulant, Astringent, Anti-microbial, Natural coagulant, Rich in antioxidants and helps Varicose veins, Circulation, Arthritis and Worts . When used in a poultice with plantain it has remarkable powers to draw out any foreign object embedded in the flesh. “In December we rescued a puppy named Lincoln. We had only had him a short time when we noticed a small cyst like bump on his leg. As we were going to the vet for his regular shots they did take a look at it and were not concerned as it was small, not deeply rooted and not infected. That was good news. Over the next couple of weeks the little bump grew substantially and was red and sore looking. We went back to the vet and they describe it as a cutaneous mass and where we were given antibiotics. After taking all of the antibiotics is didn’t appear to be getting any better and the vet thought they may have to remove it surgically – not the best news within the first month of having a new puppy! We posted on a picture on a pet forum to see if others had any thoughts and we received many ideas. 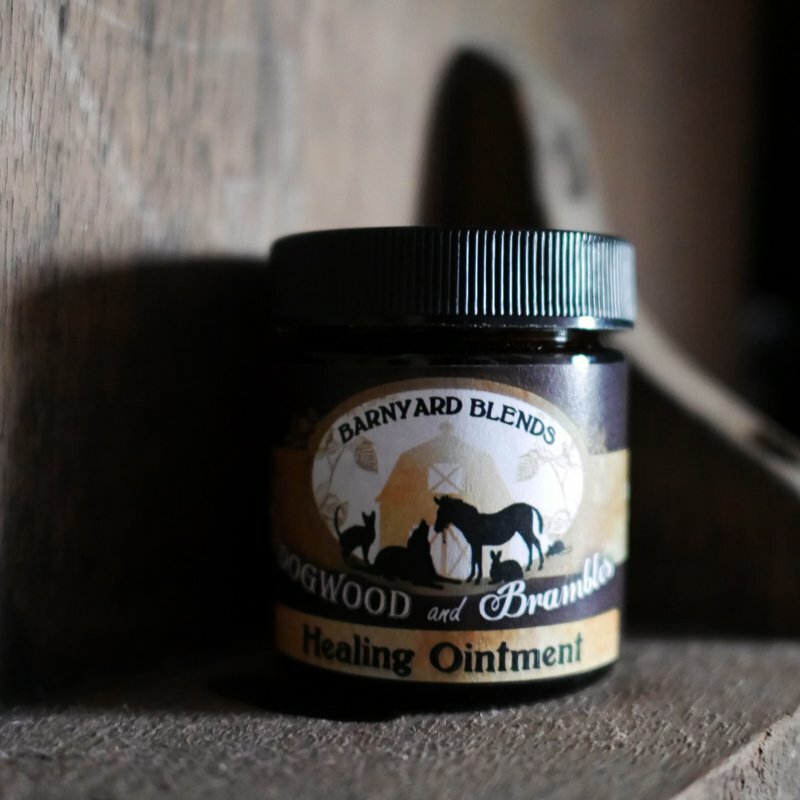 This is when a friend (a student of our herb course) suggested that we try an ointment that she made in her herbal medicine class as a topical healer for animals. This Kloss’ Liniment was amazing and in a weeks’ time there was a noticeable difference and in two weeks it was gone! It was so wonderful to have avoided surgery and have such success with a natural product.